Advanced apologies, because most things about birth are pretty gross to the non-mom reader. Also, I did a google search to find the pill image used above, and now I have an entirely new set of disturbances burned into my brain that I’ll never recover from…ever… and it may affect my writing. In any case, I anxiously anticipated Felix’s birth just 3 years ago, but it already seems like there are an entirely new set of trends to follow (or not) with Baby K 2.0. It could also just be that I’m distracted by different sorts of things…first thing’s first: read this and be very, very amused. Second, read this, and be very, very confused. Yes, placenta encapsulation is what it sounds like it is. Yes, cultures throughout the world have been known to ingest their placentas after giving birth. Yes, so did Kourtney Kardashian. No, the traditional custom usually does not involve a third party placenta preparer. Let’s be clear: I think that there is a lot to be learned from other parts of the world when it comes to staying well AND to raising children (ooh, read this post, too!). I’m a fan of homeopathic remedies for colds. I’m fascinated by the potential of pro-biotics to change how we confront many illnesses. Yet, I also generally think that if the practice needs to be re-engineered to make it marketable (i.e. paying someone else to package your organ), then it loses a significant amount of its caché as traditional. It just feels…really, really, really, really corrupted. Am I wrong? Also, don’t google “placenta encapsulation”. Ever. 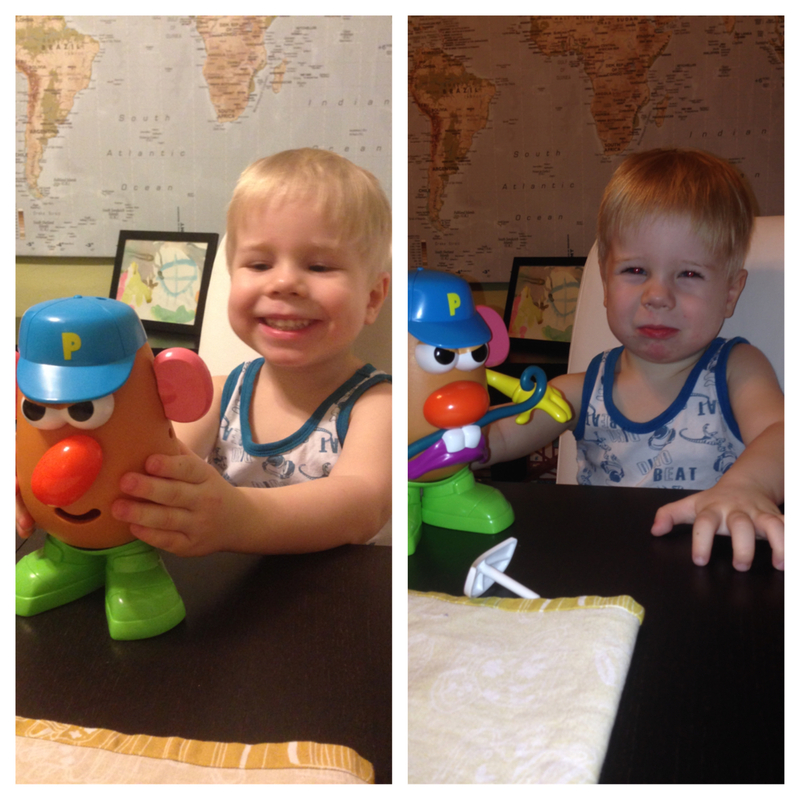 HAPPY face potato head, MAD face potato head.